Perhaps the greatest live album ever recorded. From the breathless buildup of the spoken intro through terse, sweat-soaked early hits such as "Try Me" and "Think" into 11 minutes of the raw ballad "Lost Someone," climaxing with a frenzied nine-song medley and ending with "Night Train," Live at the Apollo is pure, uncut soul. And it almost didn't happen. 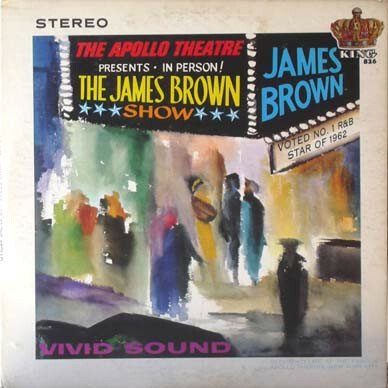 James Brown defied King Records label boss Syd Nathan's opposition to a live album by arranging to record a show himself – on October 24th, 1962, the last date in a run at Harlem's historic Apollo Theater. His intuition proved correct: Live at the Apollo – the first of four albums Brown recorded there – charted for 66 weeks.